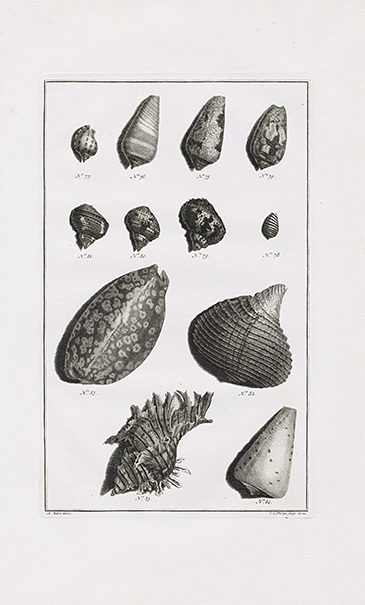 We are very pleased to offer these original engravings from drawings by Maria Sibylla Merian from the 1766 edition of Amboinische Raritäten-Kammer oder Abhandlung. 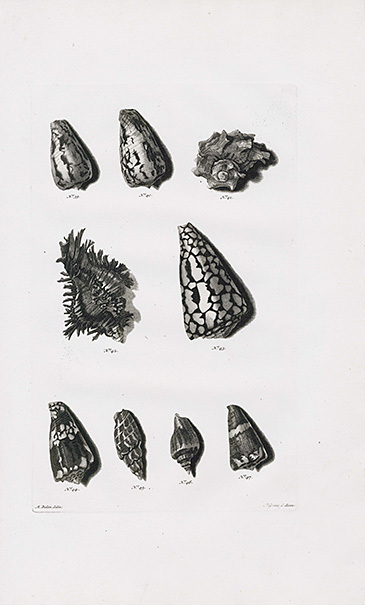 It has only just been discovered that the incomparable Maria Sibylla Merian was the artist for these prints, though her association with the Dutch Indies has long been known. 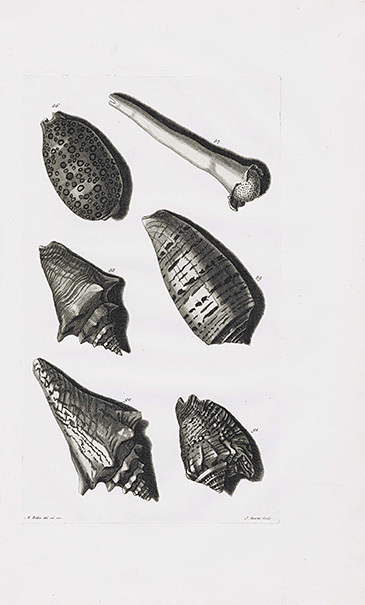 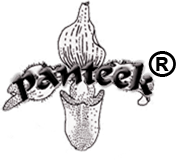 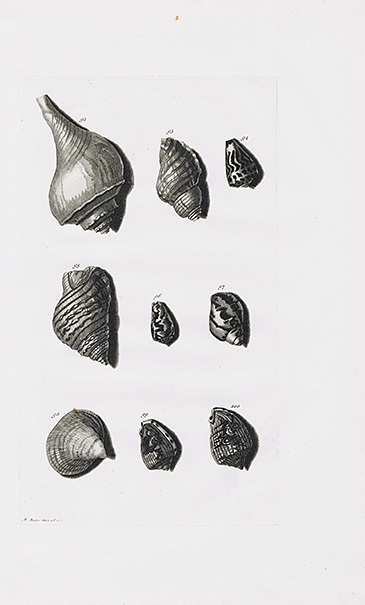 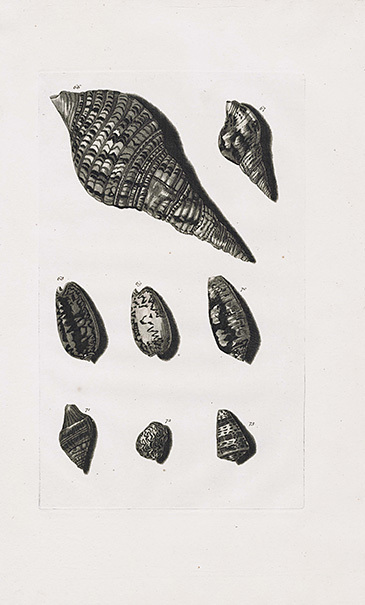 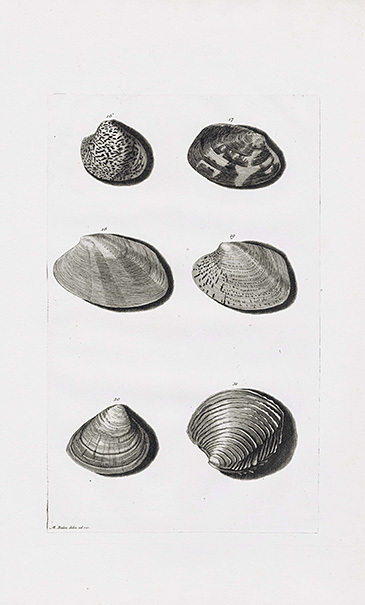 Following her return from Surinam, Merian accepted a commission to draw the illustrations for the 'Amboinsche Rariteitkamer' using shells from notable Dutch collections of the period. 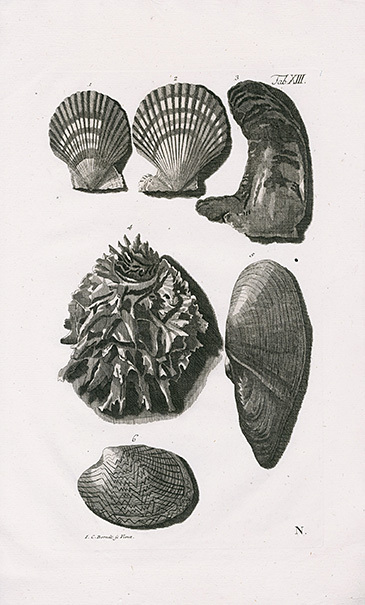 Her drawings for the 1705 edition of Rumphius' book are in the Archives of the Academy of Sciences in St. Petersburg. 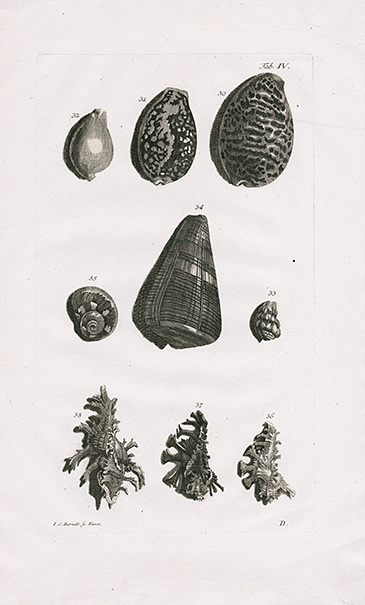 Rumphius, a Dutch naturalist, worked for the Dutch East India Company and spent most of his life on the island of Ambon, a small but important trading centre in the Dutch East Indies. 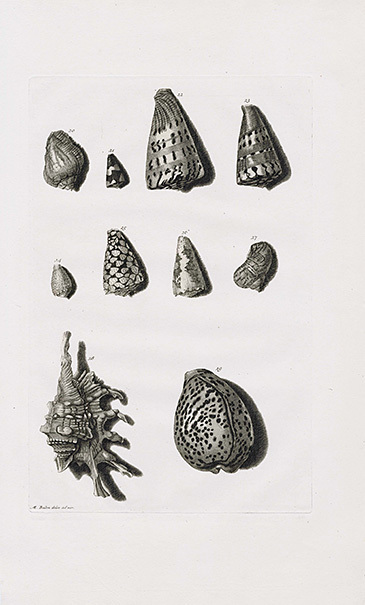 He was brilliant field naturalist & the first to document the tropical marine life & shells of the area. 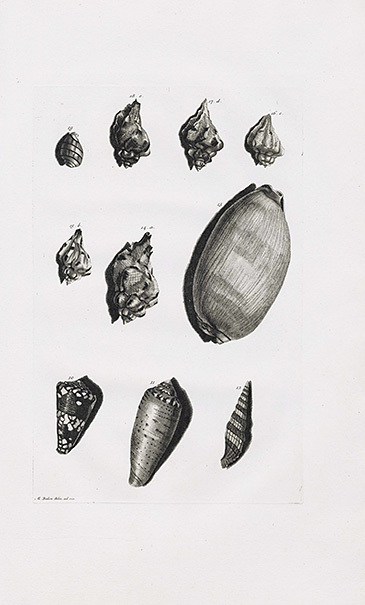 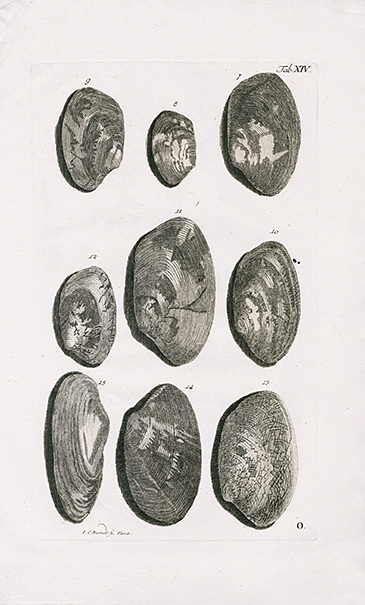 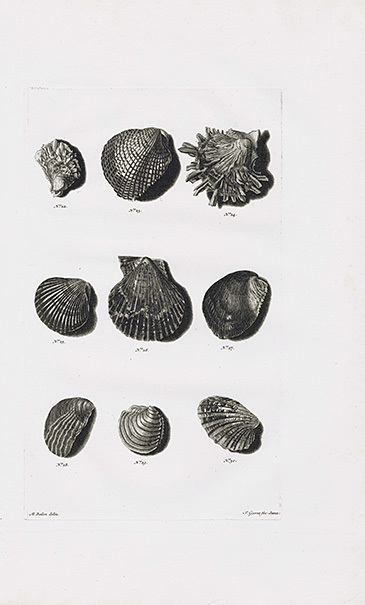 This work on shells was his chef d’oeuvre, but he also wrote another on the flora of the island 'Herbarium Amboinense'. 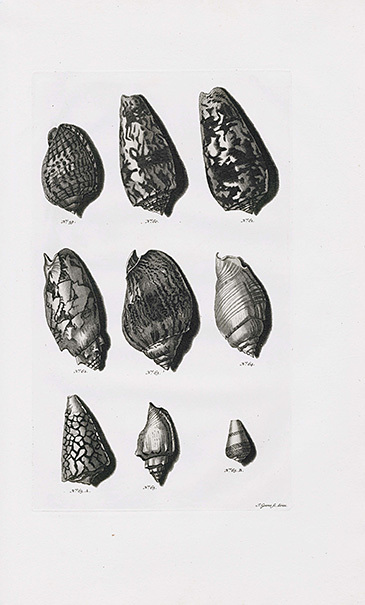 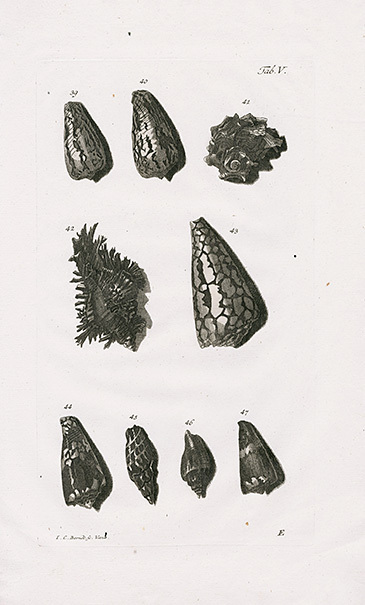 He named many of the common Pacific shells, names we still in use, and was the first to report the fatal bite of the cone shell. 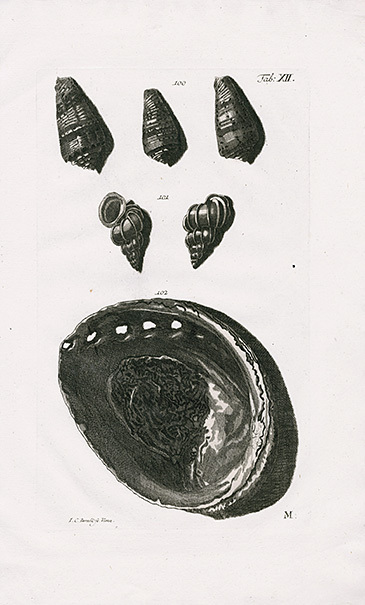 He was known as the Indian Pliny. 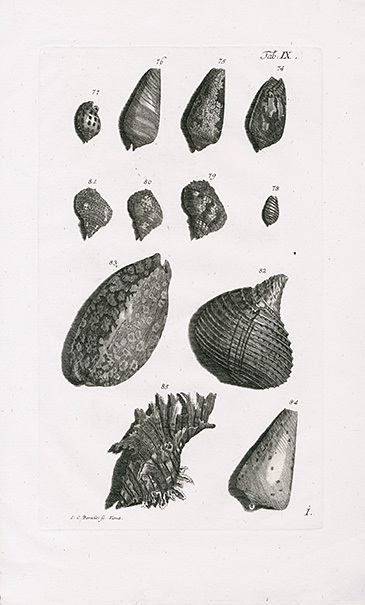 Sadly, he became blind towards the end of his life, though he worked on with the help of an assistant & he died before the publication of this work. 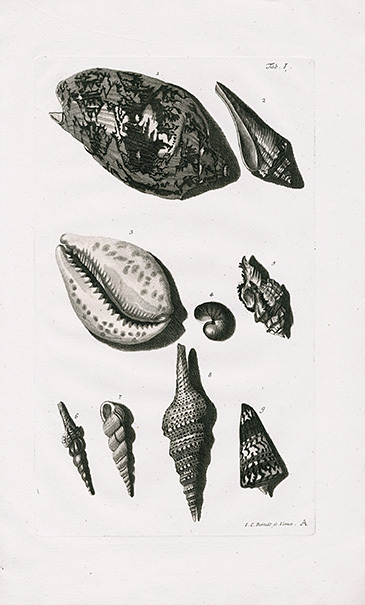 Each print measures approximately 9 3/4 inches wide by 15 inches long on soft white, chain-lined, watermarked paper. 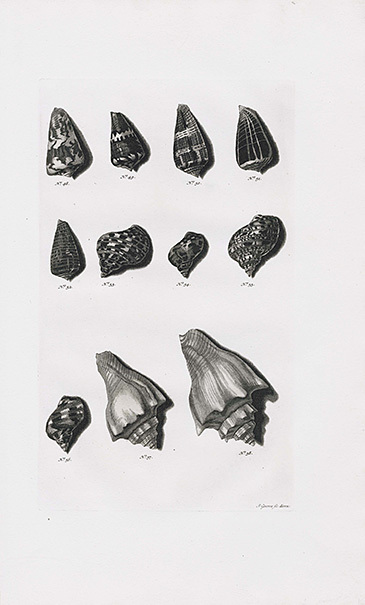 The condition of the prints is excellent, with almost no foxing or defects of any kind. 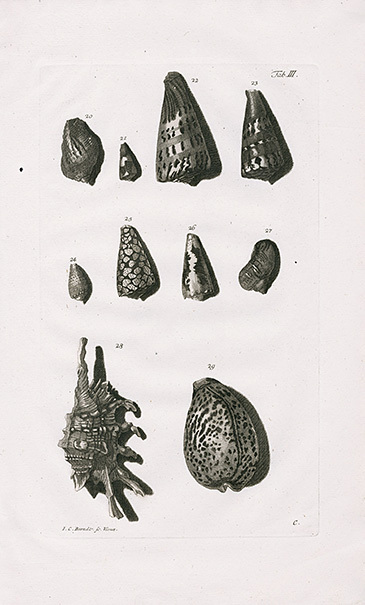 There is an accompanying copy of the title page, but no descriptive text. 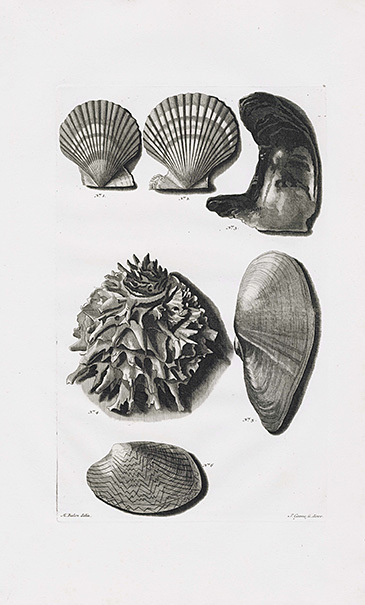 The engravings are of superb quality, very crisp & clean and the drawings of a dynamism which show Maria Sybilla Merian at the height of her tremendous artistic powers.